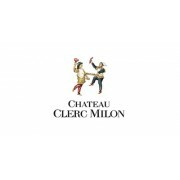 Château Clerc-Milon is a Fifth Growth Bordeaux in the Pauillac appellation of Bordeaux. The estate was purchased in 1970 by the Baron Philippe de Rothschild, who spent several decades modernizing the estate and improving the quality of the wine. Today the estate is run by the Baron’s daughter. There is no actual château on the estate, which is comprised of 100 acres planted to 46% Cabernet Sauvignon, 39% Merlot, 12% Cabernet Franc, 2% Petit Verdot and 1% Carmenere. The vineyard is adjacent to both Mouton Rothschild and Lafite Rothschild. About 16,000 cases are produced annually.